A revolution is happening in the auto industry. Electric cars are coming and companies like Tesla (NASDAQ:TSLA) are finally getting auto buyers excited about the prospects. But how can investors best profit from the gradual rise of electric cars? The best way to take advantage may well be by investing in the minerals needed to create those batteries, because the need is already there and will only grow in the future. Automakers are increasingly on board for a future in which electric cars are the norm. But that future seems a long way away, and one of the biggest problems is that of battery technology. A Bloomberg report puts it quite well: “To deliver an electric vehicle that’s cheaper, safer and capable of traveling 500 miles on a single charge, the auto industry needs a breakthrough in battery technology. Easier said than done.” Currently, lithium-ion batteries are the major form of electric car batteries. But attempting to increase performance also raises safety issues that seem potentially unresolvable with that technology path. The answer seems to be the development of solid-state batteries which do not require liquid elements. Battery company Solid Power CEO Doug Campbell is confident that “solid-state technology will be commercially viable in cars”—though he does not expect that day to come for another five to ten years. Despite huge amounts of investment in research into new battery technologies, Daimler AG, the automaker behind Mercedes-Benz and one of the companies working on the task, ended 2018 with orders for “$23 billion of current generation lithium-ion battery cells through 2030”—and even then these timelines are already seen as optimistic. Investors then should indeed be paying attention to solid-state technology, but investing in lithium-ion battery tech. Given that UBS Group AG is estimating that the market for electric vehicle batteries on the whole “will be worth about $84 billion by 2025,” that means a lot of lithium-ion batteries will be produced in the next decade, and a lot of minerals will be needed for that production. 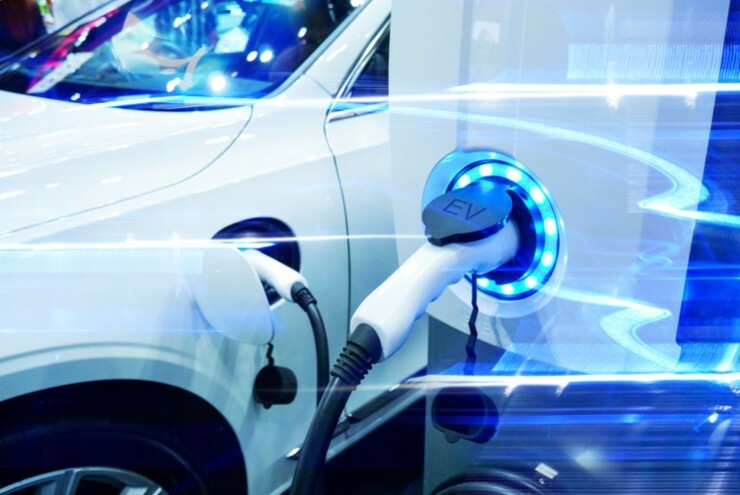 Investors interested in this emerging phenomenon should also turn their focus towards all levels of the game—from automakers to battery makers to mineral suppliers. Though there are many variables, one thing is clear: the need for the minerals making this activity possible will only increase. Solid-state battery technology will change the balance of materials which are most needed, and the reign of lithium-ion will definitely require lithium, cobalt, graphite, and nickel. Indeed, lithium and cobalt are gunning for everyone’s attention when it comes to sourcing materials needed in making lithium-ion batteries. However, graphite is still the largest component by far. 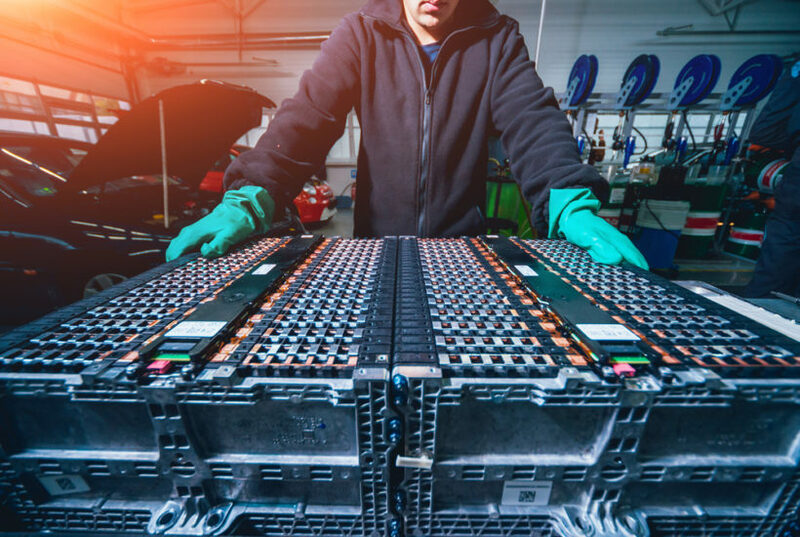 Per the Benchmark Mineral Intelligence, there’s an estimated 194,160 metric tons of graphite used in producing batteries in 2018 alone, and it is expected that the demand will only increase in the next ten years. In fact, the U.S. imports all four of the needed minerals while China is a major supplier of graphite. The political and economic dynamics around the much needed supply can get very tricky, given the current trade wars. There are also huge issues for the U.S. in sourcing both lithium and cobalt. Nickel is more readily available domestically but much is still imported. All these minerals are going to be heavily imported by the U.S. which raises another concern about competition with China, who, despite exporting graphite, is competing for other minerals internationally. And, as seen with the global growth of the electric car market, everyone else is competing as well. The future looks bright for mineral suppliers, and there are many ways to invest in this future. One could focus on particular minerals and the companies that mine them or subsequently profit from their use. However, ETFs currently seem the most inviting way to invest in this exciting development, from which multiple companies may benefit. Nevertheless, many relevant ETFs have not been doing so well over the last year. For instance, if one wanted to focus on lithium, one could invest in the Global X Lithium & Battery Tech ETF (NYSE:LIT) . This ETF gives one exposure across the “full lithium cycle from mining and refining through battery production.” But its performance over the last year has not been meeting investor expectations. Maybe sticking closer to the production of metals makes the most sense. One could do that through the Amplify Advanced Battery Metals and Materials ETF (NYSE:BATT). This ETF was created to benefit from companies that are “principally engaged in the business of mining, exploration, production, processing or recycling of advanced battery metals and materials.” Just the same, BATT has also had a rather difficult year. These are exactly the kind of opportunities that investors should be learning about and evaluating especially those who have a long-term commitment to this sector. But these options are also rather obvious. Perhaps another option can be investing in companies who are trying to change the minerals trading game with the use of technology, specifically, blockchain. Currently, Swiss EMX (which stands for e-Minerals eXchange), is preparing to launch a commodity-backed Graphite Token using blockchain technology. This forward-thinking move will employ smart contracts to facilitate trading. 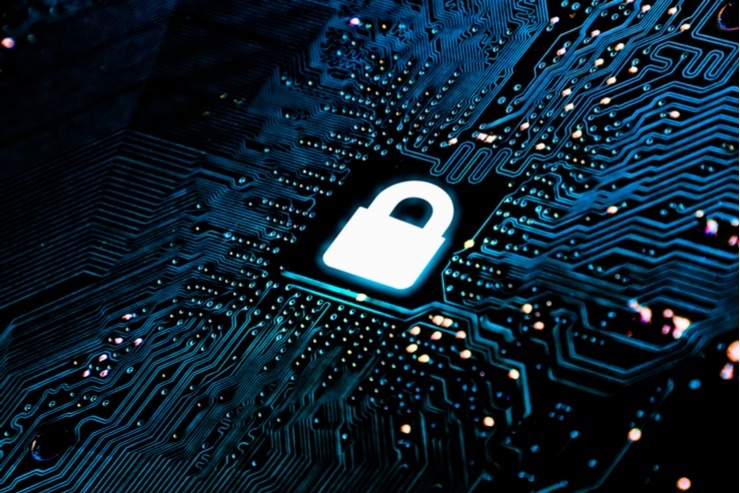 Swiss EMX will take a “three-stage approach” to this tokenization process. Commodity-backed tokens will be offered and will then be available on exchanges for secondary trading. The tokens themselves will “facilitate the delivery of the physical underlying commodity via smart contracts.” With that in mind, it should be noted that the company is taking inquiries regarding its eventual STO via its website. As is usually the case, there are many ways to invest in the growth of the electric car market. One can focus on cars, batteries or minerals via individual stocks or ETFs. But commodity-backed security tokens are offering another opportunity that may be a fairly new approach to some but might be worth it in the long run. As always, investors should deeply research all relevant options.